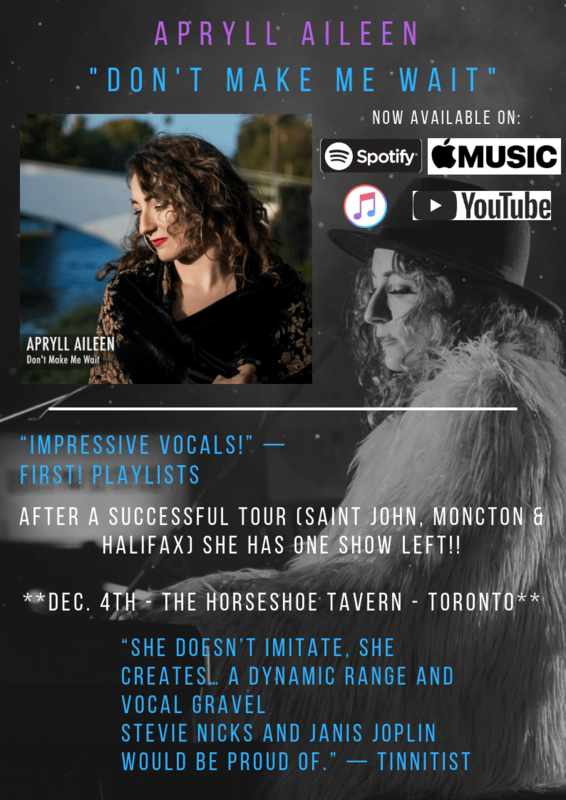 APRYLL AILEEN – New Music & Saint John/Toronto Show Dates! 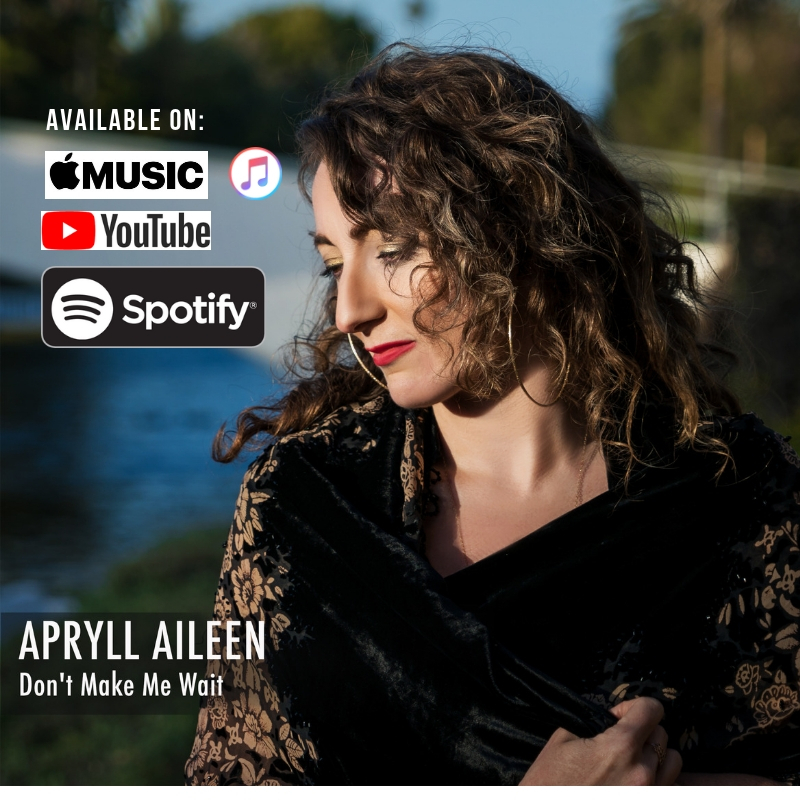 Aileen has just launched her new music video for “Don’t Make Me Wait”. This music video was filmed in Venice Beach, California after she played at Muscle Beach with her Los Angeles bandmates: Toshi Yanagi, Jimmy Earl (Jimmy Kimmel Live! Show) and Max MacVeety. It was filmed and edited by Andrew Kraus who is an up-and-coming videographer in Los Angeles!